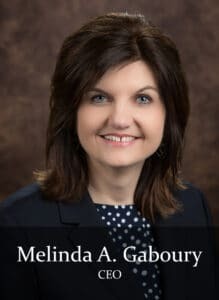 Melinda A. Gaboury is co-founder and Chief Executive Officer of Healthcare Provider Solutions, Inc. (HPS). Melinda Gaboury and Mark Cannon founded the company in April 2001 to provide financial, reimbursement, billing, operational and clinical consulting to the home care and hospice industries. With more than 27 years in home care, Melinda has over 17 years of executive speaking and educating experience, including extensive day-to-day interaction with home care and hospice professionals. She routinely conducts Home Care and Hospice Reimbursement Workshops and speaks at state association meetings throughout the country. Melinda has profound experience in Medicare PPS training, billing, collections, case-mix calculations, chart reviews and due diligence. ZPIC, RA, ADR & TPE appeals with all Medicare MACs have become the forefront of Melinda’s current impact on the industry. She is currently serving on the NAHC/HHFMA Advisory Board as ex-officio and is Associate Director on the Home Care Association of Florida Board of Directors. 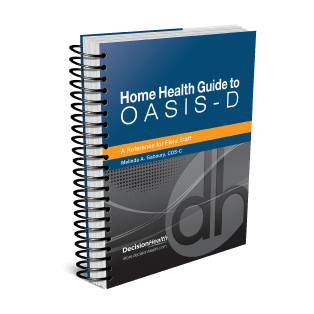 Melinda is also the author of the Home Health Guide to OASIS-D: A Reference for Field Staff. Melinda attended Cumberland University in Lebanon, Tennessee and received her Bachelor of Business Administration in Accounting. She began her career in 1991 with a large Tennessee based homecare chain as a staff accountant and later joined a national healthcare consulting firm as their Reimbursement Manager. Prior to the inception of Medicare PPS, Melinda began researching, auditing and reviewing processes with OASIS, ICD-9 Coding and clinical documentation. She has developed and taught clinician and billing Medicare PPS Training and Hospice Training Workshops in a variety of venues. Melinda’s priority remains bridging the gap between clinical and financial issues in home health and hospice agencies. The one unique thing that Melinda brings to the industry is the development of very effective compliance education while being able to also teach the reimbursement aspect and how they are directly related.